Welcome to the Berkeley Center for Theoretical Physics! 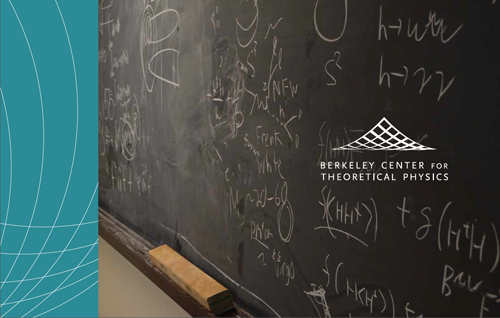 The Berkeley Center for Theoretical Physics (BCTP) was founded at the turn of the millennium with the goal of bringing together the greatest minds in theoretical physics to collaborate on some of the most pressing scientific questions about the Universe. Housed atop Old LeConte Hall on the Berkeley campus and closely affiliated with Lawrence Berkeley National Laboratory (LBNL), the BCTP is at the forefront of particle theory, string theory and cosmology. Furthering our understanding of matter, spacetime and the Universe, or more specifically quantum gravity, dark matter, neutrinos, the Higgs boson, and even the multiverse, is at the heart of the BCTP’s work. The Key to progress and discovery within the BCTP is its people. At the core are the faculty, whose careers are distinguished by revolutionary contributions to frontier research, and by the teaching and mentoring of students. Post-doctoral fellows and graduate students are key members of the Center because they play tremendously important roles in collaborations, both national and international.